The cemetery is located on both sides of Gum Branch Road at its junction with Big Bone Church Road. The Boone County GIS unique ID assigned to this cemetery is 23 (Big Bone Baptist Cemetery). 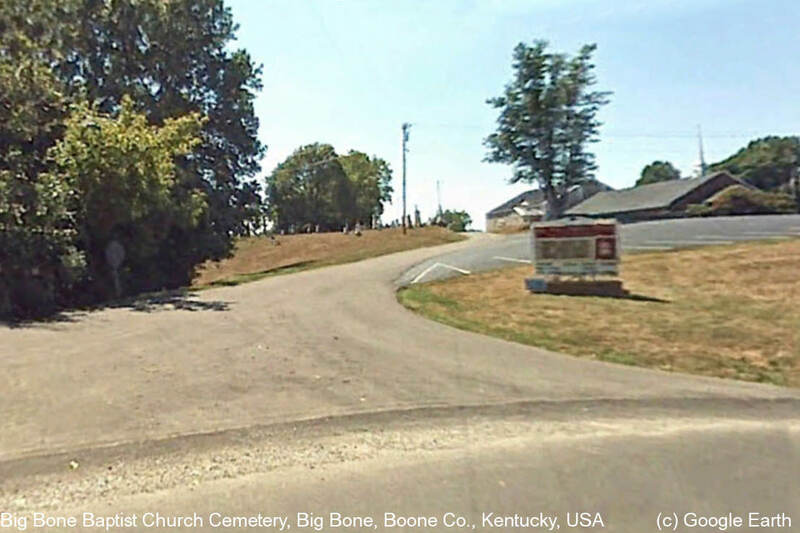 The cemetery has an index number of 23 (Big Bone Baptist Church Cemetery) on the Boone County Kentucky Cemetery Map published in 2005 by the Boone County Planning Commission in conjunction with Johnson-Wilson Cemetery Stewards Association. The U.S. Geological Survey (USGS) Geographic Names Information System (GNIS) feature ID for the cemetery is 2569254 (Big Bone Church Cemetery).